Wedding dress sample sales are the best way to score a discount on your wedding dress. Shop designers such as Hayley Paige, Made With Love, and Watters all at $1500 or less for one day only! 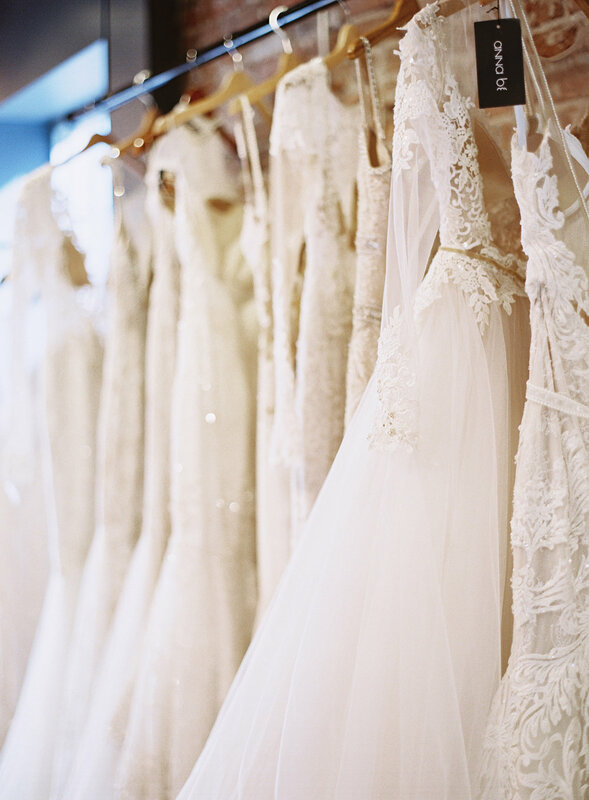 Why buy a wedding dress at a sample sale? Easy, sample sales are perfect for brides on a budget or brides with close wedding dates who need their dress quickly, and our bi-annual sample sale is the best in Denver! We’re teaming up with our sister store, a&bé bridal shop, to offer brides the biggest selection and best designers in the city. 1. Come prepared to buy your dress! We do not hold gowns, and there is only one of each sample. If you aren’t ready to purchase a dress that day, we suggest scheduling for a day when you will be able to make your final decision. 2. Call ahead to discuss any sizing questions with a stylist. Most dresses can be altered for anyone from a size 2 to around a size 8, and for brides who are 5’10” or shorter. 3. Let your stylist help you! Our sample appointments are only 60 minutes, which means you have to make your decision rather quickly. Be open and honest with your stylist about style, as always they are here to help you and know these gowns back and forth. The more you share, the better they will be able to find your perfect dress!